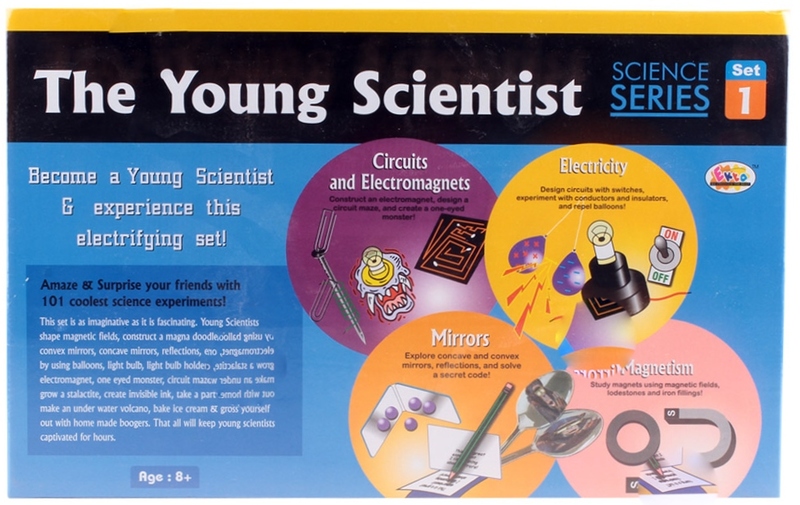 Amaze & Surprise your friends with coolest science experiments! This set is a imaginative as it is fascinating. 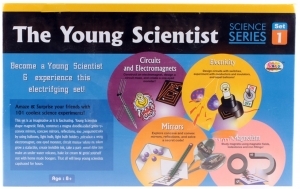 Young Scientists shape magnetic fields, construct a magna doodle, learn about convex mirrors, concave mirrors, reflections, explore electricity by using balloons, light bulb holder, wires, make electromagnet, one eyed monster, circuit maze, bounce an egg, grow a stalactite, create invisible ink, take a part a flopy disk, make an under water volcano, bake ice cream & gross yourself out with home made boogers. That all will keep young scientists captivated for hours.